Jaydeep Steels is considered to be one the most experienced and specialist manufacturer of Alloy 20 Fasteners, both in India and worldwide. With over a decade of experience in this field, we are claimed to be one of the most professional companies, which can manufacture the Carpenter 20 Fasteners, as per the customized needs and requirements of the buyers. 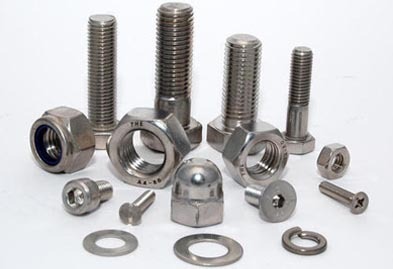 The 20 Alloy Fasteners are produced from an iron-base, austenitic alloy, which provides maximum resistance to corrosion in different fields (chloride ion corrosion and pitting corrosion), as well as resistance to numerous acid attacks, especially sulfuric acids. Our Alloy 20 fasteners also exhibit good fabricating properties and better mechanical properties. To look after the various industrial and domestic applications, the alloy 20 fasteners are designed as per the specified needs of our customers, with the help of advanced tools and machines. 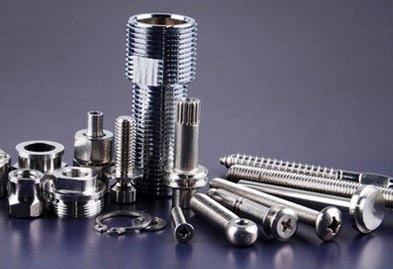 The different available varieties of Alloy 20 Fasteners at Jaydeep steels are Alloy 20 Nuts, Alloy 20 Washers, Alloy 20 Screws, Alloy 20 Socket Cap Screws, Alloy 20 Bolts, Alloy 20 Studs, Alloy 20 U-Bolts, Alloy 20 Hex Bolts, Alloy 20 Hex Cap Screws, and much more. Stringent adherence to all quality standards and techniques is followed to make sure that the final product is among the best and matches the needs of the customers. The entire production process is guided by the best and most experienced members of our team, thus making it an entirely error-free process. Our entire Alloy 20 fastener Products is made available tour customers at the affordable price range. Call us and request a free quote or to place an order now! Jaydeep Steels stocks a wide range of materials and grades. Below is a list of all standard alloy 20 steel fasteners materials and grades we stock. Our experienced team of metal experts will get you the metal you need when you need it. Call us today for your Alloy 20 Steel Fasteners Needs!